At Knocker & Foskett we take your privacy seriously and this privacy statement explains what personal data or information we collect from you, and from people who visit our website, and how we use it. We would encourage you to read the information below. Knocker & Foskett is authorised and regulated by the Solicitors Regulation Authority No. 54258. 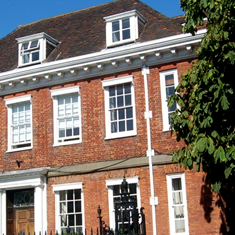 Our registered office address is: The Red House, 50 High Street, Sevenoaks, Kent, TN13 1JL. Knocker & Foskett is a registered data controller (ICO registration number Z664883X). We believe that all these purposes are justified on the basis of our legitimate interests in running and promoting the firm, our contractual requirements to deliver the agreed legal services to you, and our legal obligations, both as a LLP and responsible employer. The exception is for sending email marketing about our services, which we carry out on the basis of consent. We store your information in our practice management system and our accounting system on our secure servers based in the UK. We also hold paper copies of your information in the client matter files, stored in our offices and in a secure, offsite storage archive. We will retain your client matter file for the duration of our relationship with you, then for a minimum of 1 years after, and a maximum of 17 years, if required for audit purposes. Where there are specific retention periods relating to your matter file, we will make you aware of these at the time we open and close the file. We will retain financial records for 6 years, following the end of the current financial year. • Name, date of birth, and contact information. We store your information in our practice management system on our secure servers based in the UK. Communications with you relating to your initial enquiry may also be stored in our email system for a period of 6 months. We will retain minimal personal information about you to enable us to conduct conflict of interest checks as required by the Solicitors Regulatory Authority. We store your information in our practice management system on our secure servers based in the UK. We will also store communications with you relating to the interview process on our email server, based in the UK. We will retain your personal data relating to the review, interview and selection process for a period of 1 year after the interview date. We store your information in our practice management system on our secure servers based in the UK and in hard copy in a secure filing cabinet in the office. We will also store communications with you on our email server, based in the UK. We will retain your personal data for the duration of your employment and for a period of 7 years after you leave the firm. We may store your hard copy file in our offsite storage location. Beyond this point, we only retain minimal information about you to confirm the period of time you were employed by the firm for reference purposes. We share your information with HMRC, and our chosen pension / benefits providers. • Information and documents relating to the service you provide us with, including communications with you. We store your information in our practice management system and our accounting system on our secure servers based in the UK. We will also store communications with you on our email server, based in the UK. We will retain your personal data for the time you are available as an expert and for a maximum of 1 year after you are no longer available. We may pass information about your matter to the prosecution and to other parties within the justice system (e.g. Counsel, Barristers) as required to provide legal services to you. • Newmans Business Solutions provide us with IT support services. They do not routinely access the data on our systems but may have to provide maintenance and upgrade services which gives them access to the data. • Restore Confidential Waste provide us with secure data disposal services. • Iron Mountain and CDS Archiving provide us with secure storage facilities. • SOS – Solicitors Own Software. They do not routinely access the data on our systems but may have to provide maintenance and upgrade services which gives them access to the data. Please ask us if you would like further information about how they handle personal data. Your personal information in the European Economic Area (EEA) is protected by data protection laws, but other countries do not necessarily protect your personal information in the same way. The EEA covers all countries in the EU plus Norway, Liechtenstein and Iceland. We do not transfer your personal data outside of the EEA. All our servers are located in the UK. If you currently receive marketing information from us which you wish to cancel, please email us at: aa@knocker-foskett.co.uk. You have the right to ask for a copy of the personal information. The accuracy of this information is important to us. If you change your contact details, or if you want to update any of the information we hold on you please contact the Data Protection Officer at the address stated above. Cookies are small text files that are placed on your computer by websites that you visit. They are widely used in order to make websites work, or work more efficiently, as well as to provide information to the owners of the site. Unless you have set your browser to block cookies, this site will place cookies on your computer. Session cookie (reflect) This cookie is ‘strictly necessary’ for the site to function. This is a session cookie that is integral to the code that runs the content management system. It only lasts for the duration of a user’s visit to the website. A web browser normally deletes session cookies when it quits. 1P_Jar Google advertising cookie used for user tracking and ad targeting purposes. APISID, SAPISID, SID, SSID, HSID Google set a number of cookies on any page that includes a Google Map. While we have no control over the cookies set by Google, they appear to include a mixture of pieces of information to measure the number and behaviour of Google Maps users. NID Your browser sends this cookie with requests to Google’s sites. The NID cookie contains a unique ID Google uses to remember your preferences and other information, such as your preferred language. SIDCC Security cookie to protect users data from unauthorised access. OTZ Google plus cookies which allow sharing of a page on Google plus account. _ga, _gid, These cookies are used to collect information about how visitors use our website. We use the information to compile reports and to help us improve the website. The cookies collect information in an anonymous form, including the number of visitors to the website and blog, where visitors have come to the website from and the pages they visited. To contact Knocker & Foskett with a data protection query regarding the processing of your personal data, please use the ‘contact us’ facility on our website. We keep our privacy notice under regular review. This privacy notice was last updated on 12/09/2018.